Nintendo's new Animal Crossing boss explains the origins of upcoming spinoffs Amiibo Festival and Happy Home Designer. I first interviewed Animal Crossing: New Leaf director last year at Game Developers Conference, where she tag-teamed with series creator Katsuya Eguchi to field questions. This year at E3, however, Eguchi sat in strictly as an observer when I spoke to Kyogoku - which seems a tacit sign that Nintendo's first-ever female developer has taken the creative lead on one of its biggest series. The passing of the torch certainly might account for the nature of the Animal Crossing games Nintendo has announced for this fall. Since its debut as a Japan-only Nintendo 64 release, the Animal Crossing series has been a stolid, iterative thing, each new entry adding more content and features to an unchanging framework. But this year's entries - Happy Home Designer for 3DS and Amiibo Festival for Wii U - take the Animal Crossing concept in entirely new, yet entirely faithful, directions. Eguchi spoke last spring of finding "a new way to play Animal Crossing," and it seems Kyogoku's team has done precisely that. Happy Home Designer reduces the experience to designing custom home interiors and exteriors, while Amiibo Festival takes the form of a board game, a la Mario Party or Fortune Street. Notably absent is the expected Wii U sequel to Animal Crossing; the system may well be the first platform not to see a proper Animal Crossing since Game Boy Advance. 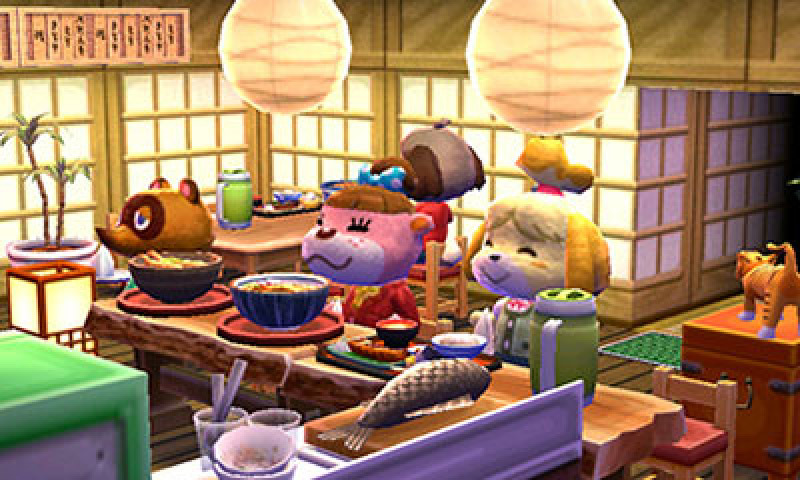 USgamer: I was a little surprised to see not one, but two Animal Crossing games today. Neither of them is the traditional Animal Crossing that you would expect. Can you talk about your vision for this series, and the genesis of both of these games? Aya Kyogoku: Both Happy Home Designer and Amiibo Festival are spinoffs of the Animal Crossing series, and that's what we're developing them as. One thing that we focused on was, "What kind of game play experience can we create using Amiibo figures and Amiibo cards?" We also went in with the approach that we didn't want to be limited in the scope of what we can do based on what Animal Crossing in the past has been. So this is the result of our endeavor and coming up with a new game play experience with Amiibos and Animal Crossing. USG: All I've seen of Amiibo Festival is what was shown in the E3 stream. Can you elaborate on what exactly the game is? How it plays and how Amiibos factor into it? AK: Along with the Amiibo Festival Game, we've just announced the Amiibo Animal Crossing figures. This time, you actually control the animals instead of a player character. As you saw in some of the footage, the villages actually turned into a board game, and that is one of the major aspects of this game. 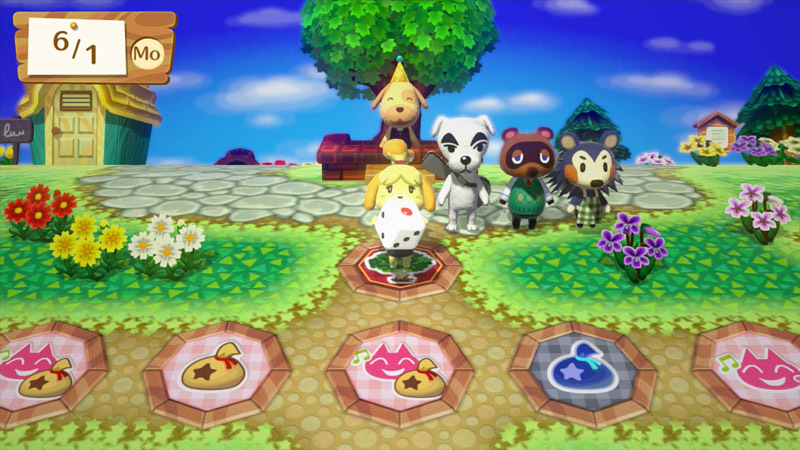 It's not just the physical look of the actual board game that makes it a part of the Animal Crossing series - as you may or may not have noticed, one turn in the board game creates one day. The game lets you play one month full of turns. Things like Sundays, Joan will turn up to sell turnips, and in June, there will be fishing tournaments, so a lot of the familiar events you see in Animal Crossing are synced with how time progresses in the board game. Likewise, you will see changes in the seasons, like leaves will be falling in Autumn, there will be snow in Winter, things like that, to really bring Animal Crossing to life in the board game. USG: Of course Nintendo already has a board game series, Mario Party, and the most recent version of that had Amiibo integration. How will Amiibo Festival be different from the Mario Party series? AK: One of the main tenets of Mario Party is that you're playing a board game and in between those board game moves, you play a mini-game and compete, and that's a focus. For Animal Crossing, the focus is actually playing the board game within the village of Animal Crossing, so it's not really focused on the mini games. If you look at where Joan comes in and you are able to purchase turnips, that's an element that was very prominent in the original Animal Crossing series and that also happens here. So you purchase on Sunday, and you have between Monday's turn and Saturday's turn to sell those turnips to gain money that will help you win the board game. There are a lot of elements that were very popular and significant in Animal Crossing that now act as a very unique characteristic here in the board game. I think that's a major difference between this and Mario Party. USG: You and [Animal Crossing producer Katsuya] Eguchi have both said that Animal Crossing is ultimately a series about communication. How does that fit into a board game, or into Happy Home Designer, which seems to be a very single-player-focused kind of game? AK: Obviously these two games are on different hardware and there are different types of gameplay to go along with the game mechanics. We definitely took into account different ways of integrating communication into these games. Amiibo Festival is a board game that you play on TV, so everyone would be facing the TV. You play with your family or your friends, so it encourages direct communication between people. Happy Home Designer is a different form of communication. You are taking requests from the animals to create homes for them. 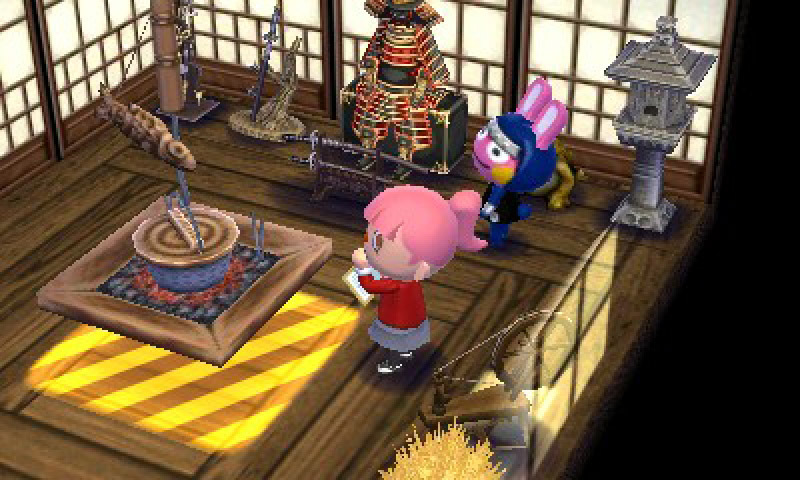 Obviously, Animal Crossing has a very big catalog of furniture. So even with the same themes - please create a school or a café - I think it will be really hard to find two identical designs. Depending on the player's taste or sense of design, you get very different results. We actually tried this within the dev team as well. We had a theme of "school," and there were people who would build a traditional elementary school or high school, and then there were people who would take a different approach and make it more like a tech or vocational school. There were even people who would create a training ground for superheroes. Everyone had their own take on "school." With that, there's a lot of desire to show off what you've created and see how other people have taken that theme. We would show off screen shots, like on other services like Twitter or Miiverse, or other social media where we could share this. So in that sense, we tried to create a fun competitive way to show each other off and we were hoping that once you see a home design it would inspire, "Oh maybe I can try this, or maybe I can try that." Obviously, this is a different form of communication; it is more of an indirect form of communication to really inspire each other to have more fun and communicate with each other through these home designs. USG: Was the original concept behind Amiibo Festival to create an Animal Crossing Game that involved Amiibos? Or did the idea come along first and then the Amiibo integration was something that added in later in the Development Cycle? AK: Initially when the Amiibo was announced, there was nothing really said about Animal Crossing Amiibos or any plans for that matter. But as the Animal Crossing team, we were confident that if there was one, it would be really cute... honestly, we just wanted Animal Crossing Amiibo. We wanted the company to make Animal Crossing Amiibo, so that's why we made a game that works with them. USG: So the decision on which characters to turn into Amiibo is decided without your input? It's not something where the dev teams can go to someone and ask them to develop a character into an Amiibos? AK: Well, first off, Amiibos aren't just figurines. The most important part is that they link or connect with games. They interact with games. So, it's a necessity to have a figure and a game to go along with it - that's point one. USG: Have you had any input at all into which of the characters have been made into Amiibos as they relate to Animal Crossing? AK: Yes, as part of the Animal Crossing team we know that a certain character is very popular and that a lot of people would be happy to see it created and so we did have input into that. USG: Amiibo have obviously been very popular, which is almost sort of a bad thing, because they've been so hard to find. Is that something that concerns you about Amiibo Festival: the fact that the game relies on something that might be difficult for some people to get a hold of? AK: Actually not only Amiibo Festival, but also all of the Animal Crossing games that use Amiibo can use any of the Animal Crossing Amiibo to play the games. It's not necessarily a certain set. Also, Amiibo Festival is going to be released with an Amiibo, so I don't think it will be a case where people won't be able to play the game. USG: Are the Amiibo cards also going to be able to work with Amiibo Festival as well as Happy Home Designer? AK: Yes, Amiibo Festival will be including other games that you can play specifically with Amiibo cards. Actually, in the board game itself, you'll see houses of specific animals. Using an Amiibo card, you can actually get your favorite animals to live on that board with you. 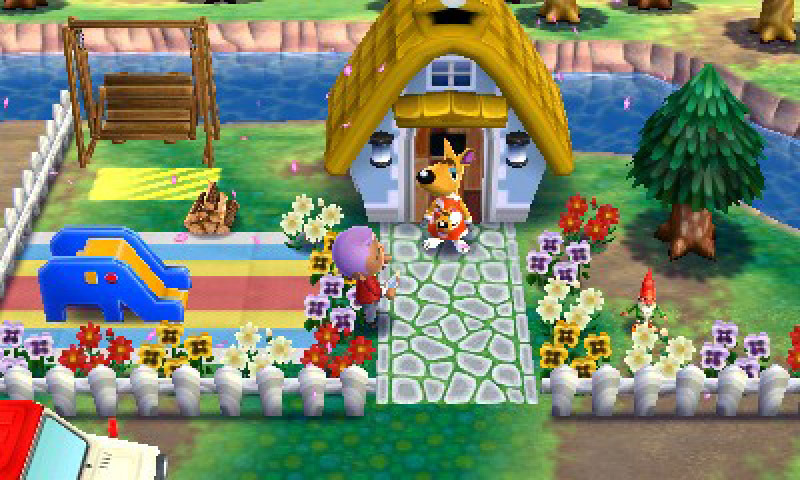 So beyond just having your favorite animal live there, if you have had a chance to design a home for them in Happy Home Designer, that home that you designed, the way it looks will actually be built in the board game. So that's another way that we've linked Amiibo Festival and Happy Home Designer through the use of Amiibo cards. USG: It seems like both of these Animal Crossing titles are really the first Nintendo games to really go all in on Amiibo integration and make that a core element of what the games are about. I'm reminded of the GameCube version of Animal Crossing, which had the e-Plus card integration. What is it about the series that lends itself to that add-on expansion element? AK: Happy Home Designer doesn't actually require Amiibo cards to play, so it's not a necessity, but one of the charms of Amiibo is that you can use it for multiple games. I would assume that a lot of people who want to get the Animal Crossing Amiibo will be fans of the Animal Crossing series, and I think they would enjoy being able to use that Amiibo for different Animal Crossing titles. So we really tried to keep the idea to really make this a fun experience for all users when we were creating this. I think in terms of the use of Amiibo or e-Plus cards, I think the reason that the Animal Crossing series lends itself to things like that is because the game is so free. It's always filled with a lot of content; a lot of features, so when we are in the development phase thinking about things, it just makes it a lot easier to integrate these things. USG: You keep mentioning "other" Animal Crossing games with Amiibo support. Are there plans to build back in Amiibo support to New Leaf? AK: So there are no current plans to add that back into New Leaf, but as a series, the Animal Crossing team is always thinking and planning what the next title might be. So once Happy Home Designer and Amiibo Festival come out, the development for the rest of the Animal Crossing series will continue. I'd definitely like to integrate the use of Amiibo cards and Amiibo into the series. USG: Nintendo has increasingly been using its most popular games like Smash Brothers and Mario Kart 8 as platforms unto themselves - they continue to grow and evolve. Obviously, Animal Crossing is one of your biggest franchises; has there been thought of revisiting New Leaf and finding new ways to expand that game? Or is that mindset – that games-as-platforms approach – is that something that you would like to explore in future Animal Crossing games? AK: Currently, there are no plans to develop that. USG: To switch over to The Happy Home Designer: It seems like a very interesting concept in that it's not a typical video game. It doesn't really seem as necessarily goal oriented. Can you talk about what you'd like to accomplish with the game? AK: The idea of creating homes is a very prominent and, I think, enjoyable feature of the Animal Crossing series. 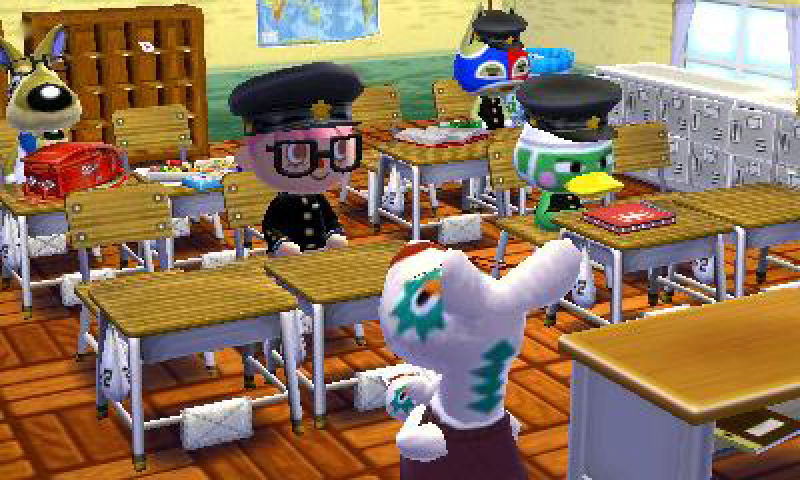 Even within the development team, when we made things like New Leaf, we had to create a room for them to have in the game, so when characters visited them, they could see the room. So that process in and of itself was a lot of fun for the development team. In Animal Crossing, the typical Animal Crossing game play, the part that involves decorating or making houses is your house. Furniture collection is something you do as part of your daily life as you progress in the game. What you're left with is the design choices and coordination choices that you want to make within your house is limited to what you've collected thus far. If you have a specific image or a specific design that you want to create, the process of collecting those pieces of furniture is very very difficult. I think if you have a certain taste, e.g., I want to make it look like my real room or I want to make it specifically look like this room, it's really difficult to do sometimes. Because of that, it sometimes makes creating rooms a little more standard in typical Animal Crossing games. 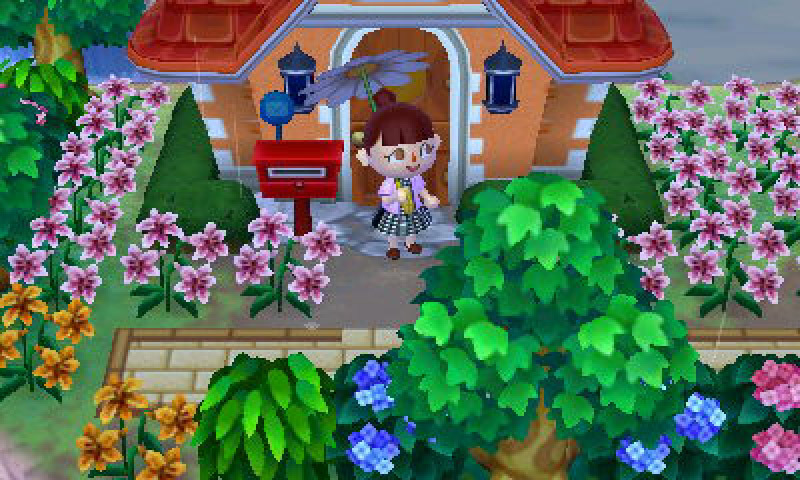 Home Design is a fun aspect of a typical Animal Crossing game, but on the development side, just creating houses for the animals, yes, it's creating houses, but it's a different type of fun. We really wanted the consumer, the player, be a part of that and enjoy that as well, so that's how this sort of idea originated. Through the many ideas and concepts that the animals will request for you, we wanted each one to be able to try different ideas and try different design concepts and to just have fun doing so. AK: When you hear about the Happy Home Designer receiving a request from an animal, it might seem like you received the request, you fulfilled the request and you're going for a good evaluation or good points. That would seem like how regular games should work, but actually with Happy Home Designer, we wanted to give a place where that request is just a stage for each player to fully utilize and actualize the creativity that they have. All the different furniture available in Happy Home Designer – if you perceive it more like Super Mario Maker where you use the Goombas or the Koopalings to really – they're just tools to make the work of art that you're working on. The ability to use all of the furniture that you want is actually a very important part of Happy Home Designer. The focus isn't really on the challenge on collecting the furniture, but it's on how to bring in your very own uniqueness or originality into the concept or theme that's given. When you think of school, someone might make a traditional school, which is fine, but really to struggle to put your twist on it, your originality into that piece. 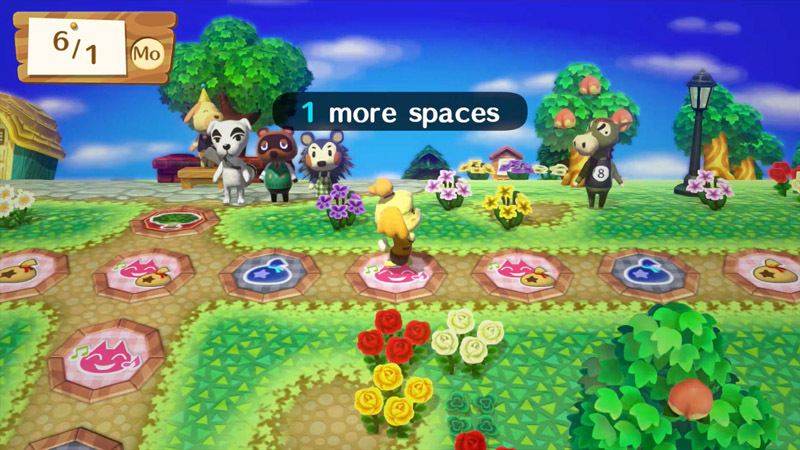 USG: As Animal Crossing has evolved in the past, it's been by making bigger worlds, giving people more options, more freedom, more events, more little tasks to do; with these two games, you've really taken the opposite approach and focused in on just a very specific facet of the Animal Crossing experience. I am curious about what inspired that difference in direction and where do you think the series goes from here? AK: I see these as spin-offs, and by focusing on one aspect of the game, we are able to expand the freedom you have in that. So, for example, in Happy Home Designer, it's not that we just took the home designing aspect of Animal Crossing and New Leaf and just made a game out of it, but through having access to all of the furniture, being able to manipulate it with a touch-screen, it's increased the freedom you have within that aspect of Animal Crossing. Tagged with Amiibo,	amiibo festival,	Animal Crossing,	aya kyogoku,	e3 2015,	happy home maker,	Interviews,	Nintendo.